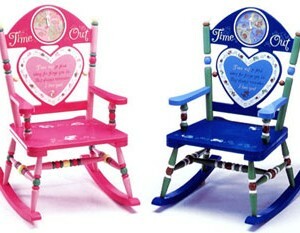 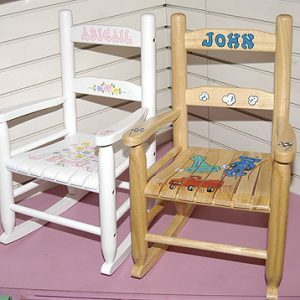 This wood Rocking Chair is available in natural and white finish. 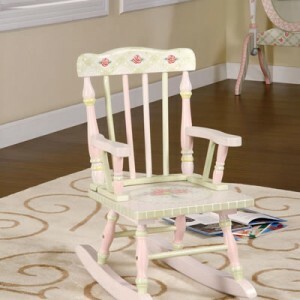 The charming spindle detailing on the arms and legs makes this a very special Rocking Chair and a great addition to the nursery or child’s room. 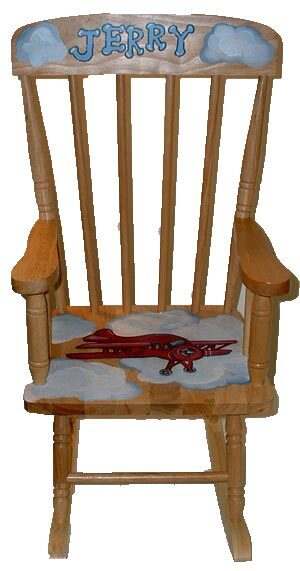 Shown with Airshow custom design on natural wood and Ribbons and Roses design on white wood.